The government on Friday approved an additional Rs 464 crore for completing the Geo-synchronous Satellite Launch Vehicle (GSLV) Mark-III programme. 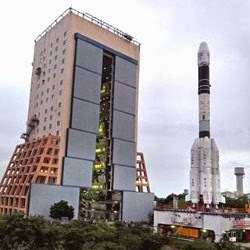 Development of the GSLV Mark-III launch vehicle is expected to augment the capacity of the Indian space programme to launch 4T class satellites to Geo-synchronous Transfer Orbit and thereby significantly reduce the demand-supply gap of transponders in the country. The project was approved in 2002 with an outlay of Rs 2,498 crore. The total amount for this programme has now been revised to Rs 2962.78 crore. The additional amount (Rs 464.78 crore) approved by the Union Cabinet was required considering the cost escalation in the project elements and modifications in design. The programme will be a major leap in technological complexity as compared to the ongoing Polar Satellite Launch Vehicle ( PSLV) and GSLV programmes.